If there is a Pilgrimage Music Festival again next year perhaps they could book John Fogerty as a headliner. At least he'd be in place to sing "Who'll Stop the Rain" should inclement weather break out again. A lot of time, effort and money goes into planning a two-day outdoor festival. 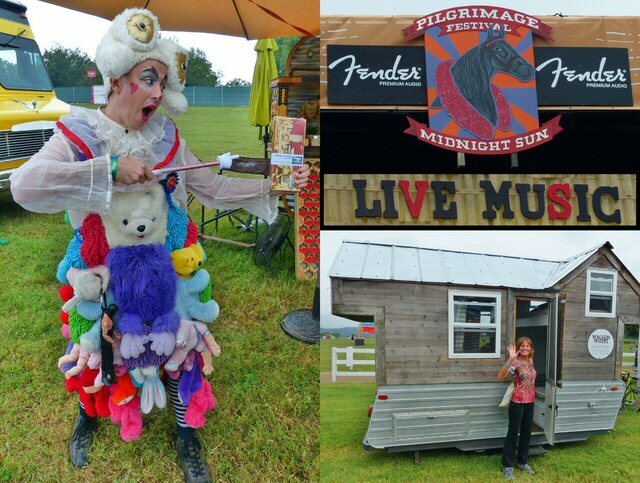 Organizers, vendors and attendees of the Pilgrimage Festival had positive expectations for September 22 and 23, 2018 but weather is a factor that folks cannot control. These circumstances left a lot of people disappointed and disgruntled which is unfortunate as there were a lot of positives to the Pilgrimage Festival. The Park at Harlinsdale where the Festival was held is a wide open green space that was able to accommodate six stages. Over the two days, 60 plus diverse artists had been scheduled to perform. Topping the impressive list of musicians were Jack White, Lionel Richie, Hozier, Counting Crows and Amos Lee on Saturday. Sunday's scheduled highlights were to include Chris Stapleton, Dave Matthews with Tim Reynolds, Brandi Carlile, Bleachers and Lord Huron. Bishop Gunn pulled the trigger on only one of two scheduled slots - the weather had other ideas. 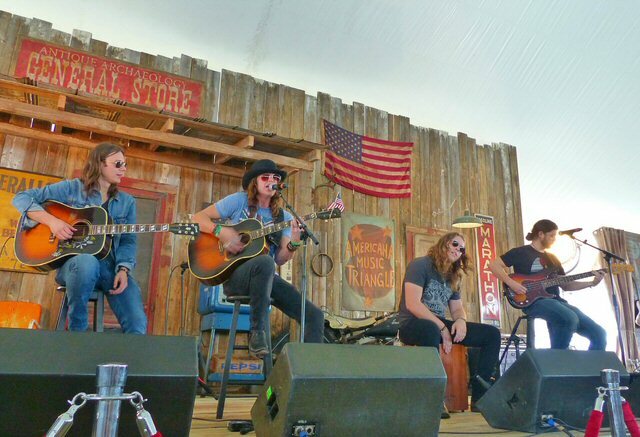 Our first stop on Saturday was the Americana Music Triangle Experience tent. We were just in time to catch one of our favorite newer bands. Bishop Gunn is a quartet of young guns from Natchez, Mississippi. 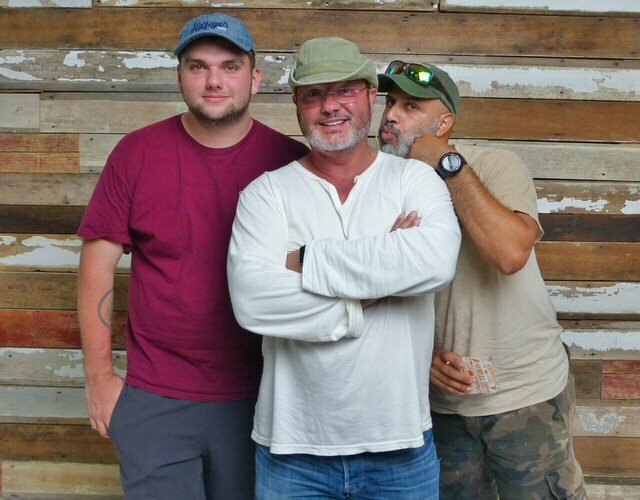 As you might expect for a group who named their first album for their hometown their sound is very much rooted in the history and the surrounding Delta. As Led Zeppelin borrowed from the music of the region, now Bishop Gunn is mining from that famous four-piece and other influences. At Pilgrimage they presented an acoustic set and took part in a Q&A. Their set featured "Shine" along with "The Devil Is a Woman" and a winsome "Wheels" from their sharp shooting debut record. The band was warmly received in the crowded tent which was also home to a number of organizations including The Country Music Hall of Fame, The Ryman, The New Orleans Jazz Museum and more. The Millville Kimbro Pickin' Parlor was a less crowed patch but still thrived with talent featuring Kansas Bible Company, The Rumba Madre and more. Next, was Amos Lee at the Gold Record Road stage. This singer-songwriter's style echoed of folk, gospel, rock and soul. Amos soulfully delivered his past and present material which included the compelling "Jesus Can You Help Me Now", "All You Got Is A Song" from My New Moon and additional songs with good grooves. 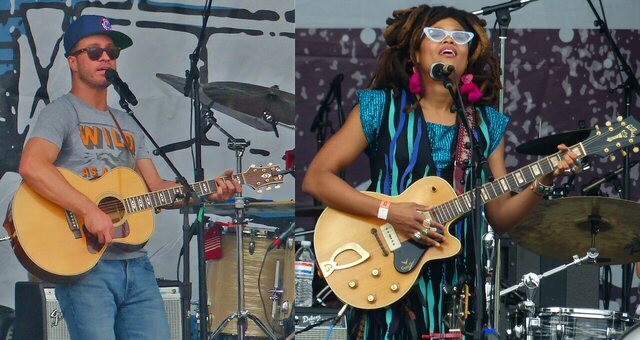 Lee's "folksy, bluesy sound" has been compared to that of John Prine and Norah Jones. His music is said to utilize the "supple funk of his vocals and arid strum of his guitar" while recalling "the low-volume, early-'70s acoustic soul of stars like Bill Withers and Minnie Ripperton." 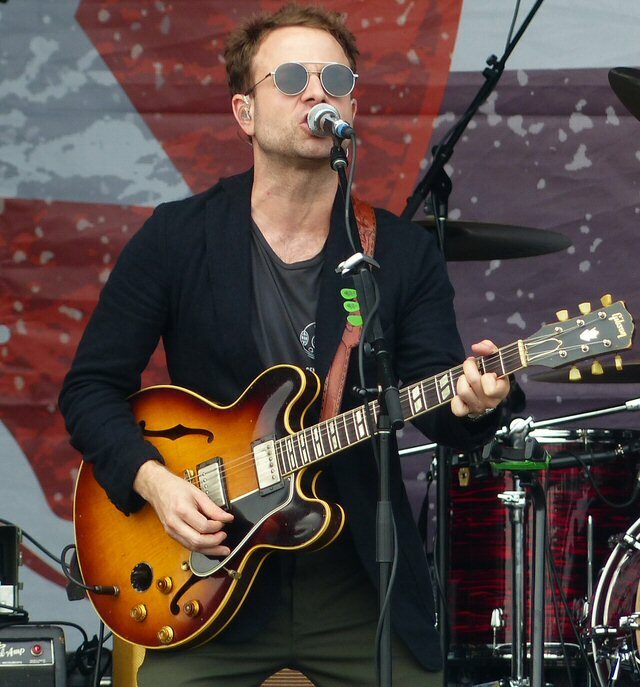 Dawes from Los Angeles, California is currently on tour in support of Passwords their sixth studio album, released on June 22, 2018. The platter saw the return of producer Jonathan Wilson, and is "for and about the modern age: the relationships that fill it, the politics that divide it, and the small victories and big losses that give it shape." This talented team attracted an ample audience to the Midnight Sun stage with songs that were heavy yet hooky with lyrics like "let's raise a glass to all the people you're not speaking to" (Things Happen). "Living In The Future" from their most recent effort was relatable and relevant. Back at Gold Records was the Counting Crows who were churning out the hits to the delight of fans. 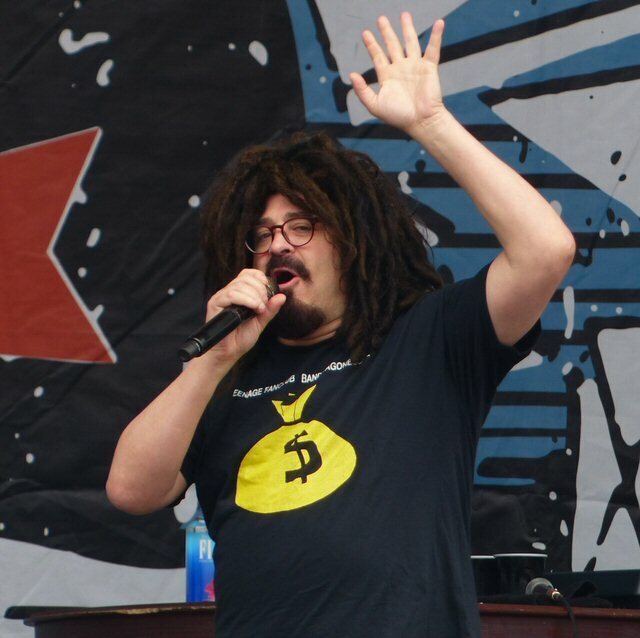 Lead singer Adam Duritz shared that they have been all around the country over their 25 year career and when they wrote "Omaha" each band member picked up different instruments to try and capture varied vibes. One of them was an accordion which became an important part of that popular song and it could be heard high in the mix even at this big outdoor setting. The Counting Crows were solid but it was during their set that the stormy announcement was made. Westlight Studios is one of Nashville's most popular photography and video rental studios with 6000 square feet of space with great flexibility in size and rental cost. It has Two cyc walls, green rooms, coffee lounge, makeup and dressing rooms for each studio & rental gear is also available. Michael Gomez and his family were very friendly and Michael's work which adorned his walls was impressive, so it was a bonus for us to meet this respected artist. Major, outdoor festivals have an element of uncertainty and weather happens. As it was - from our perspective the planned two days event had only barely reached the 25% completion mark - when Adam from the Counting Crows had the unfortunate task of announcing the "halting of programming" to the letdown of the thousands of fans and other participants who made the pilgrimage 20 miles south of Nashville to be a part of an event that featured many marquee acts in what should have been an ideal setting. 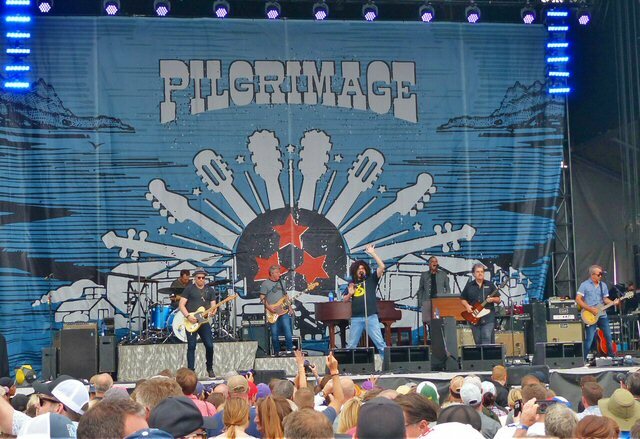 Time will tell if there will be another Pilgrimage Festival - perhaps one on a smaller scale with John Fogerty as one of the headliners?